It's sometimes hard to love dear little Sandy. She has, after all, afflicted upon us Forces of Nature, Gun Shy and that awful Ya Ya movie. 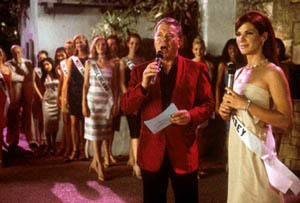 But she always wins us back with gems like Miss Congeniality. So never mind the sequel, and see how well you know Sandy's turn as Gracie Hart/Freebush.